Why Are Zombies Invading Our Culture? 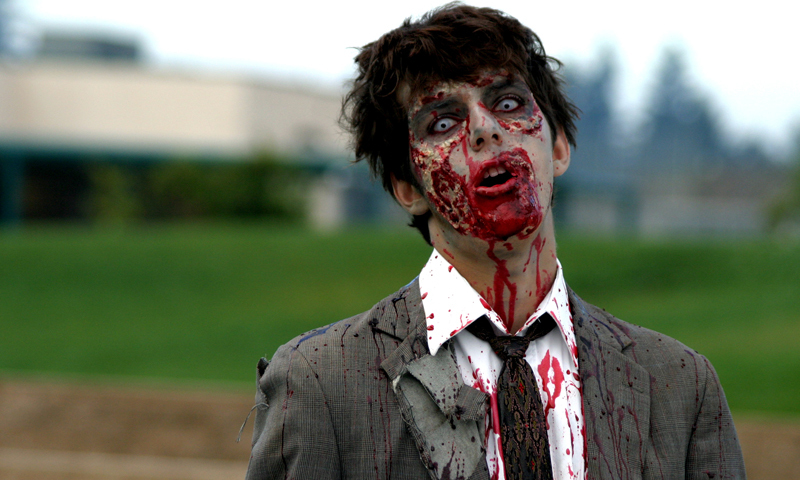 Not just for Halloween: CSUEB professor explains why zombies are invading our culture. Zombies are for kids and Halloween, right? Why, then, are zombies so prevalent in today’s society? Terms like “zombie billing,” “zombie housing,” and “zombie economy” are frequently used when describing our nation’s economic situation. The Walking Dead is a ratings phenomenon for the AMC network and Dead Island is a popular video game. Christopher Moreman, assistant professor of philosophy at California State University, East Bay, connects the dots of the undead’s popularity from zombie’s origins in Haitian folklore through the 1960s’ countercultural revolution to inclusion in current business vernacular. Zombie themes have historically been associated with racism, slavery and oppression. Moreman says that today’s usage is tied to our modern dissatisfaction with capitalism, globalism and materialism. Moreman publishes about this trend in two new books, “Zombies Are Us: Essays on the Humanity of the Walking Dead” (McFarland, 2011) and “Race, Oppression and the Zombie: Essays on Cross-Cultural Appropriations of the Caribbean Tradition” (McFarland, 2011). Moreman is an expert in comparative religions, especially as related to popular culture. Other published work and presentations by Moreman include: “Devil Music and the Great Beast: Ozzy Osbourne, Aleister Crowley, and the Christian Right,” (2003); “Dharma of the Living Dead: A Meditation on the Meaning of the Hollywood Zombie,” (2010); “Let this Hell be our Heaven: Richard Matheson’s Spirituality and its Hollywood Distortions,” (2012); and “The Symbolic Connection between Birds and Spirits of the Dead” (presentation 2004).